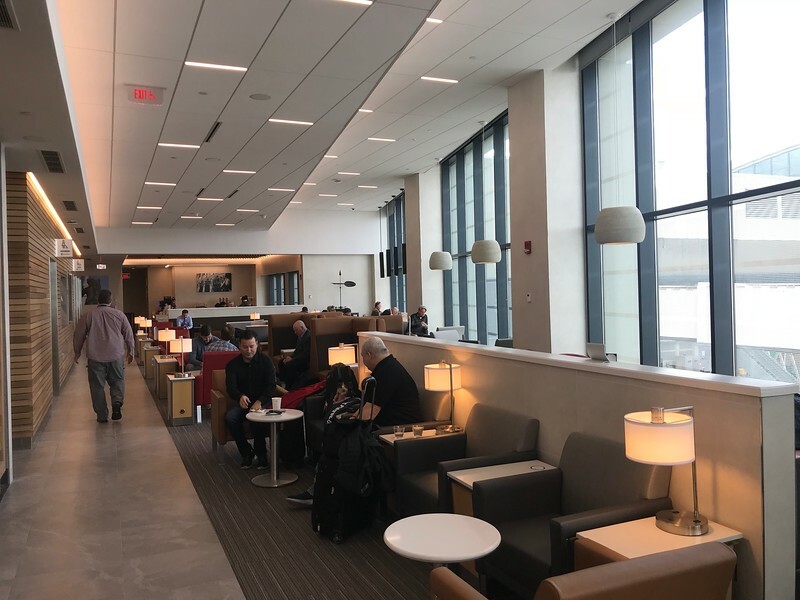 BOS / Boston Logan International Airport Terminal B Gate B4 Admirals Club reopens ~January 2019 as the only and completely renovated Club for BOS as all flight related operations relocate to a single terminal location. Link to BOS information on aa.com. 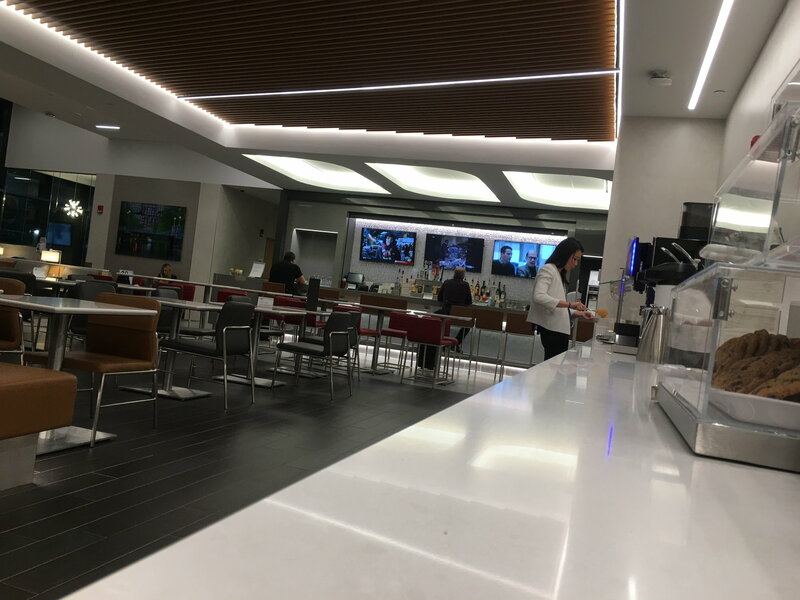 Location: The BOS - Boston Logan International Airport Admirals Club B4 is "Terminal B, upper level past security by gate B4 ." 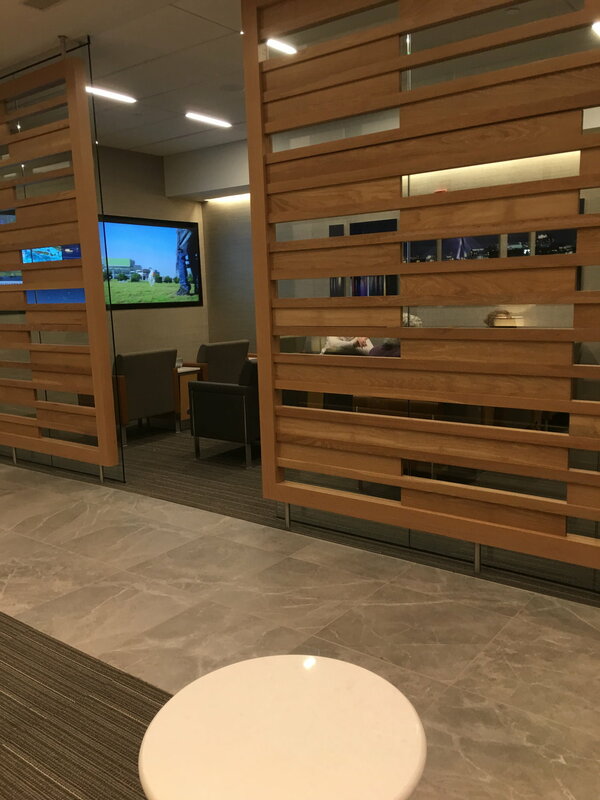 (aa.com) This is a rebranded US Airways Club, fully refurbished, including showers, reopening ~Jan 2019. Hours: Please see here for current hours and further information. 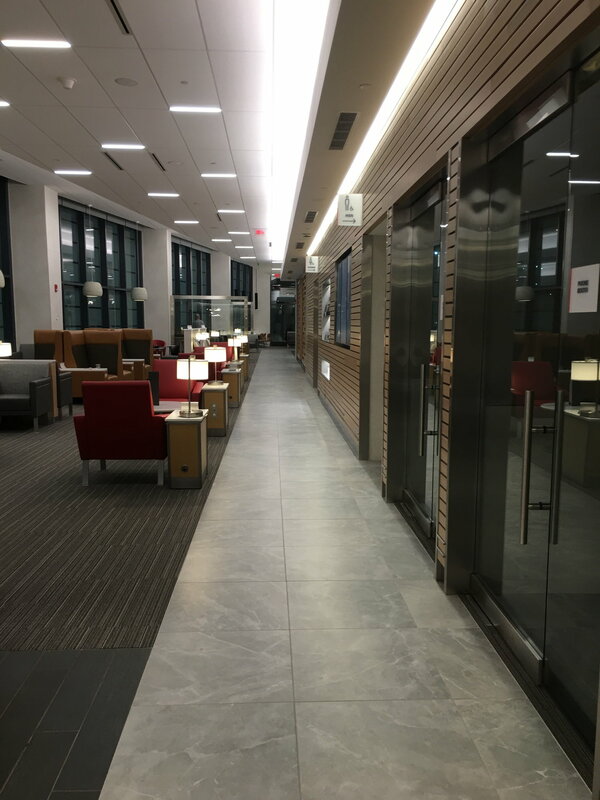 See ARCHIVE: BOS / Boston Gate B4 Admirals Club (master thread) for previous posts. Per an email from AA B4 lounge is now open. Thanks Good to know. I haven't flown yet this year. Is the other AA club now closed? Have all the AA gates been consolidated into the same area or are they still using the old AA high gates? Looks like they are mostly at the low Bs now. Club looks very nice, still has new paint smell, beautiful day today in Boston, albeit cold, and the JFK A321T is coming in to B4, right next to the club. open, spacious and excellent position right on the airfield for a sunny day like today. Signs at B departures outside still show American using some of the high gates and there was still a check in area on Thursday evening, didn't check to see if it was still there today. When I walked in early Friday morning I had no idea it was their first day open. Explains the balloons. So they had literally only been open a few hours when I stopped by. They did confirm the other lounge was now closed and there was only 1 flight that went out of those other gates. I agree, My kids are bigger now, but the kids area was small. Mostly just two computer stations and a few toys. Does the renovated AC have showers? AA's website doesn't list showers as an amenity but somewhere upthread it was reported that showers would be built into the location. Thanks for sharing the pics! That door is really odd... Not only does it not fit the new design schema at all, it's like something you'd quickly throw up as a temporary fix for something. 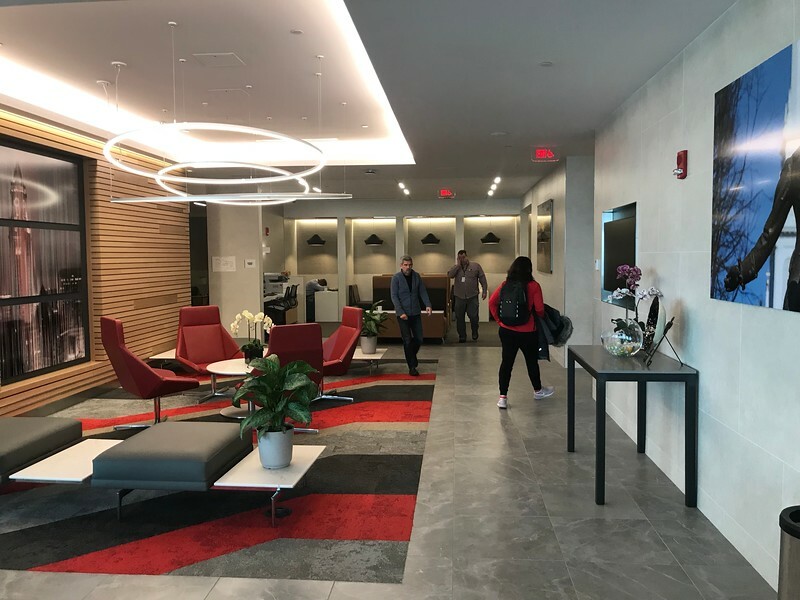 Regarding the décor not reflecting Boston, yeah, the club-specific décor is something I miss from both AA and UA's previous generation of lounges. 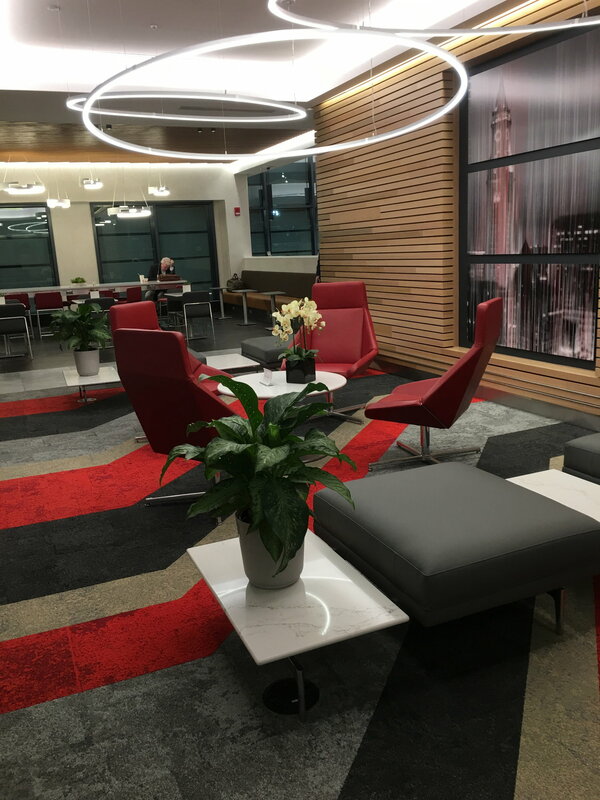 OTOH, the previous décor of this location wasn't Boston-specific either -- it had the same cookie cutter consistency of every other Wolf-era US club from BWI to SFO, so it's not like that room was ever one-of-a-kind, even if the LAA one was. Not only does it not fit the new design schema at all, it's like something you'd quickly throw up as a temporary fix for something. Correct. AAngel confirmed it is a temporary door. 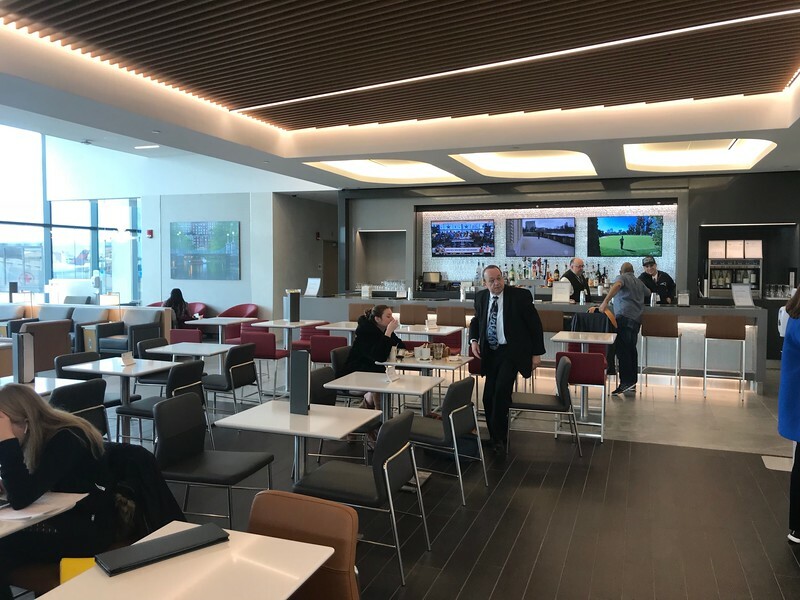 AA Guide: BOS (Boston Logan) – Connections, MCT, etc. I am at B4 Club right now, it is bran new so it looks nice. Different choices of seating, that is nice. Yes, I saw shower sign, although AA.com does not list shower or Boston AC which I think they have not updated yet. Bartender was saying to another guest that food for sale has not started yet, supposed to start any time but has no food for sale today at Boston AC. Stopped in for my first visit post renovation. 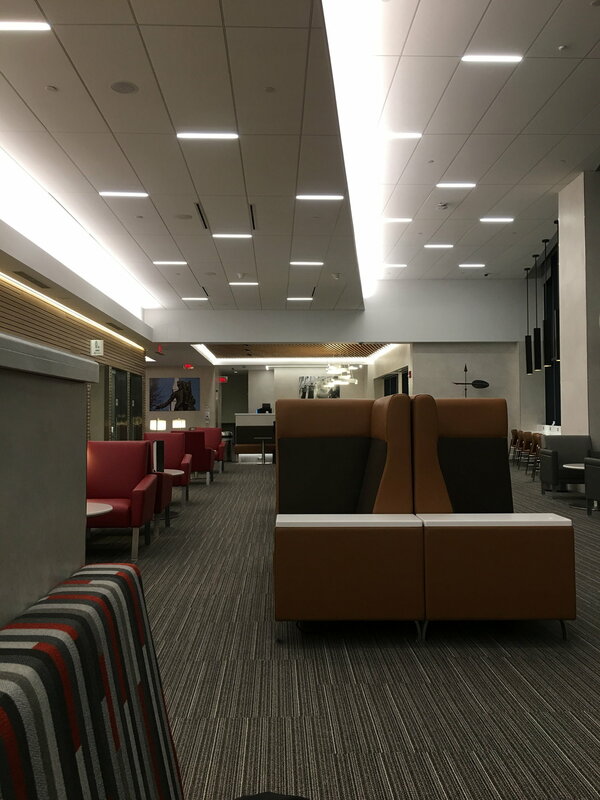 While I am nostalgic for both the LUS style AC and the old AC based on 16 years worth of using them, I was very impressed by this lounge. Lots of lighting, the high ceilings the old Club had, plenty of seating with outlets and a good layout plus they added showers. The only thing I didn't like was the entrance doesn't have an automatic door but I understand it's temporary. I'll add a few pictures I took last Friday. I agree with CMK10's assessment: while I loved the old US Club, even if it was getting a bit old, the new club is very nicely done. 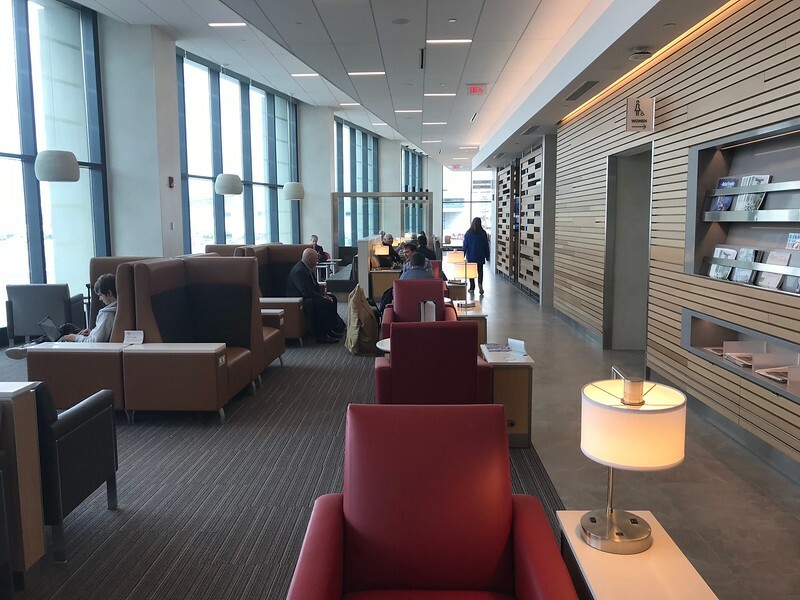 Since BOS is my home airport, I would venture that the AC has leap-frogged the SkyClubs and is right up there with the United Club. 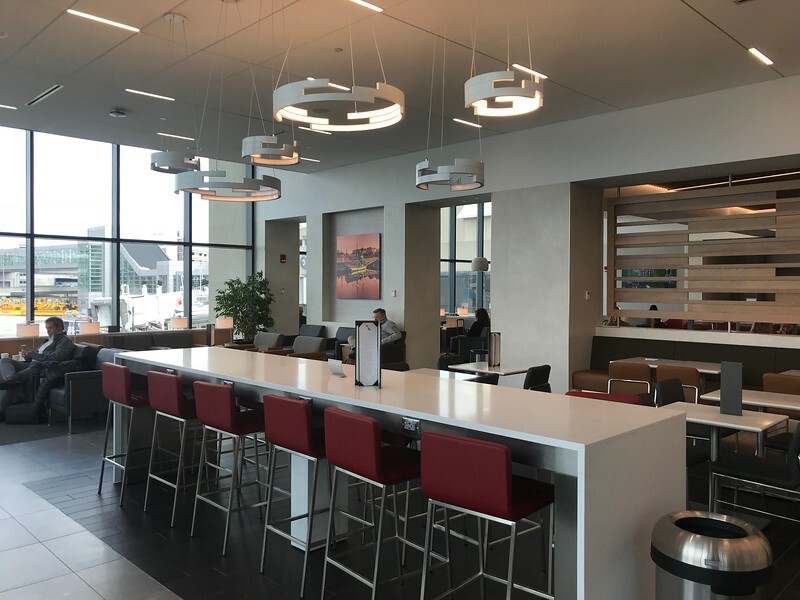 The United Club is hard to beat given the views even if the amenities are limited. Very pleased though that AA is finally moved over to a single side of the B terminal. One of the benefits of UA flying ex-BOS was a compact terminal. Still plenty of available seating and great amenities (sorry didn't get a shower photo). Nevertheless, the ceilings in the new AC strike me as lower and the views are more restricted given the frosting on the glass. I've been a frequent user of the BOS B-4 club, and it indeed looks quite nice!